Houston art lovers, get ready for a great show! 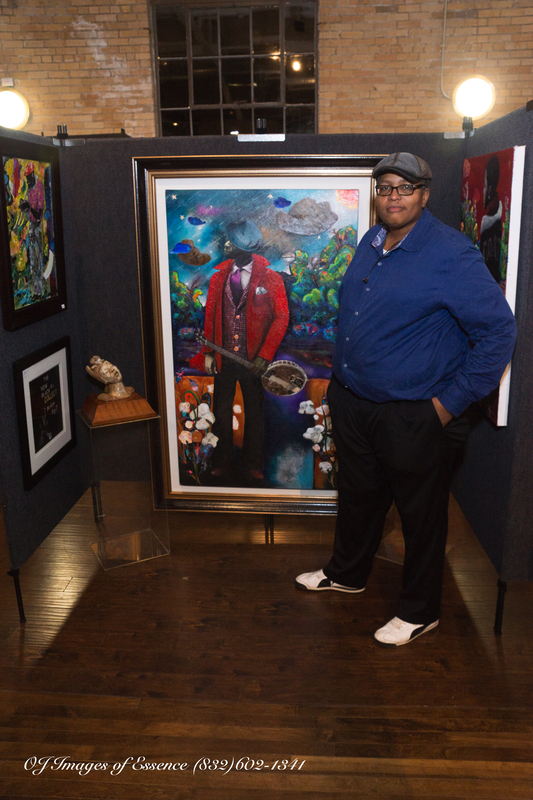 The Nicole Longnecker Gallery will hold an exhibition for Columbus, Georgia artist Najee Dorsey. The exhibition, titled “Somewhere South,” will feature Dorsey’s large scale mixed media works, along with some of his unique digital compositions. The exhibition runs from June 30 to August 31, 2018. Dorsey is also the founder of Black Art In America™ (BAIA). He started it in 2010 as a free online media platform for African American artists, collectors, art enthusiasts and arts professionals. In the company’s early stages, influencers from BAIA’s audience were surveyed and it became evident that their issues were centered on exposure, appreciation and access to each other. BAIA™ was founded as a centralized location for telling the story of the African American artist – giving members of the network access to the work of African American artists (past and contemporary). Since 2010, the network has become the leading online portal and resource focused on African American art, artists, collectors, industry leaders and arts enthusiasts. There will be an artist’s reception on Saturday, June 30, from 5-8pm. It will be a great time to meet the artist and learn more about his work.